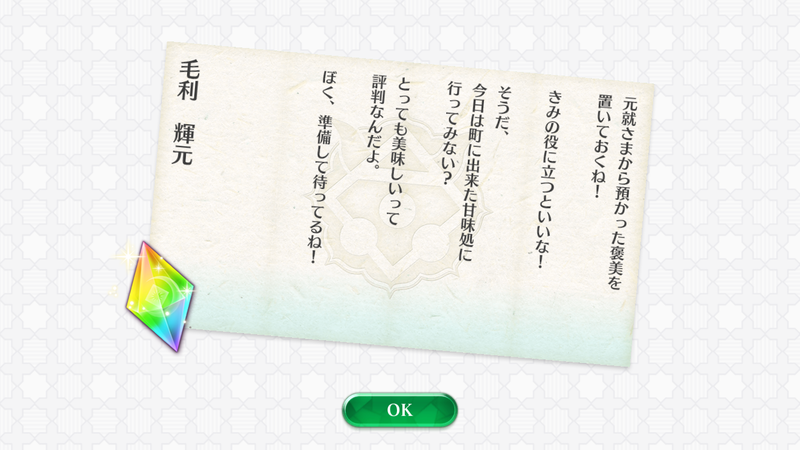 I’m gonna leave the reward Motonari-sama gave you here, okay? Oh, that’s right, do you want to go to a sweets shop that opened in town today? It’s said to be really tasty. I’m going to get ready and wait for you, okay? 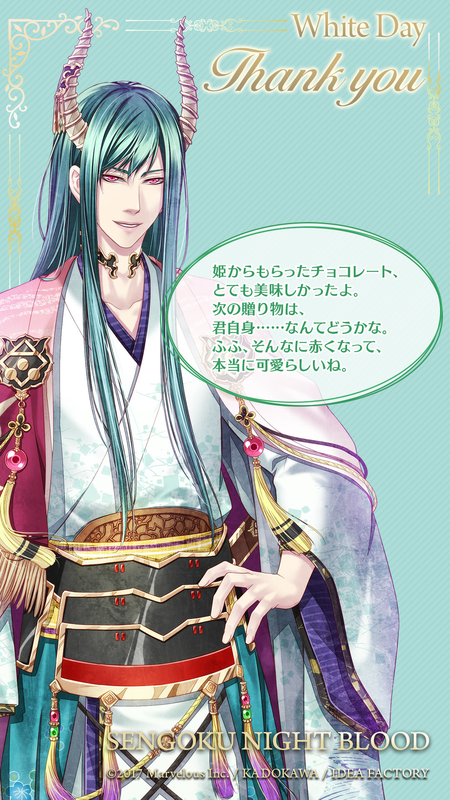 This entry was posted in Collaboration, Otome Games, Sengoku Night Blood and tagged Kadokawa, Marvelous!, Mobile, Otomate, SNB Terumoto.